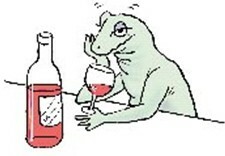 North Ealing Wine Tasting Society – or NEWTS as it is more affectionately known – is a local wine tasting group that runs monthly events. We are an informal and unpretentious group and try to offer a wide range of tastings, covering both well known and lesser known wines and wine regions of the world. We invite speakers from a number of sources, including independent speakers from the Institute of Wine Educators and representatives of the large wine merchants and supermarkets. Above all, we like our tastings to be fun. For the most part, we meet on the first Friday of each month, and our season runs from October to July, with a break in August and September. There are occasional exceptions, so do check our diary for details. NEWTS meetings are usually held at St Barnabas Millennium Hall, Pitshanger Lane, London W5 1QG. There is no membership fee. We operate a ‘pay as you go’ system and most tastings cost £20. If you would like to be on our mailing list, sample one of our tastings, or simply find out more about us, please call either Trish Hart, on 07780 606635, or Mary Timmins on 020 8997 8132.